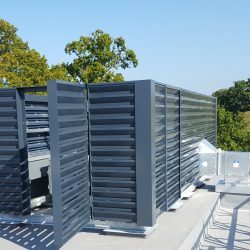 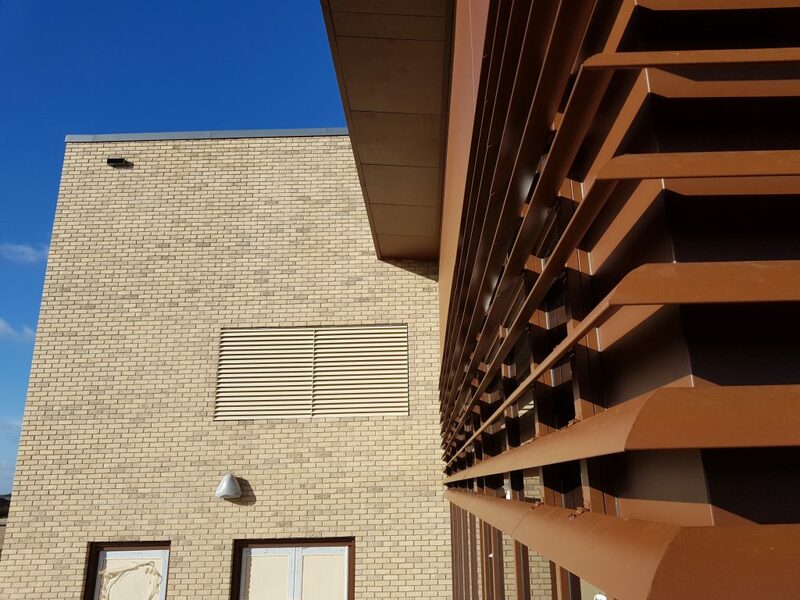 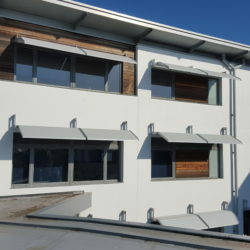 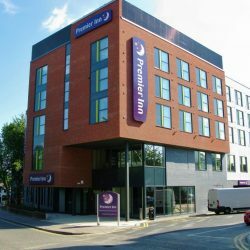 This brise soleil project had four identical buildings each with a run of solar shading including a welded corner. 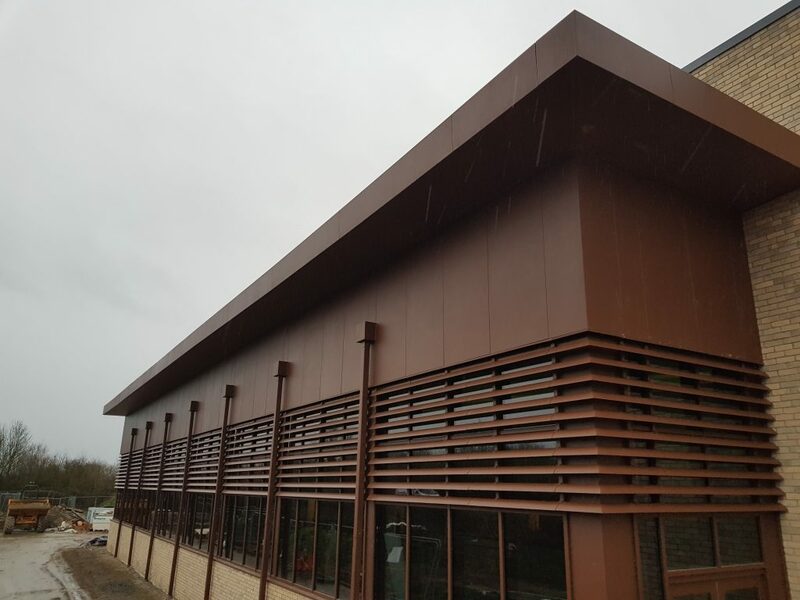 This project was completed by NLC at a leisure centre in Eley. 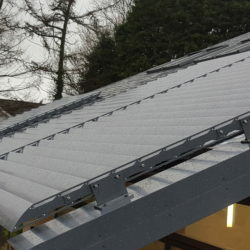 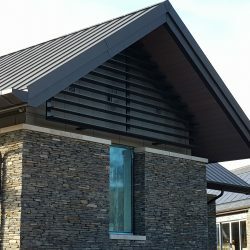 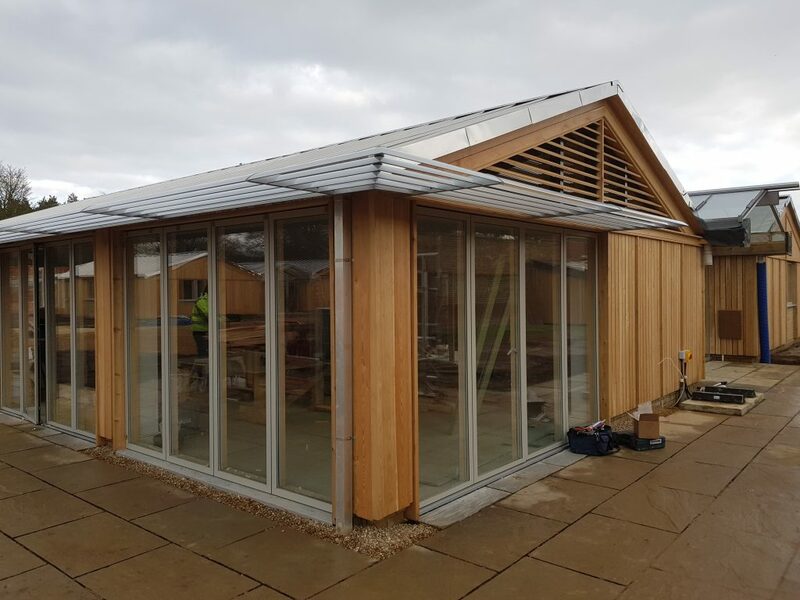 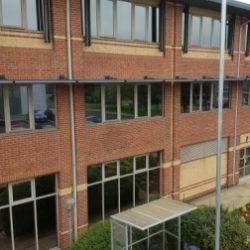 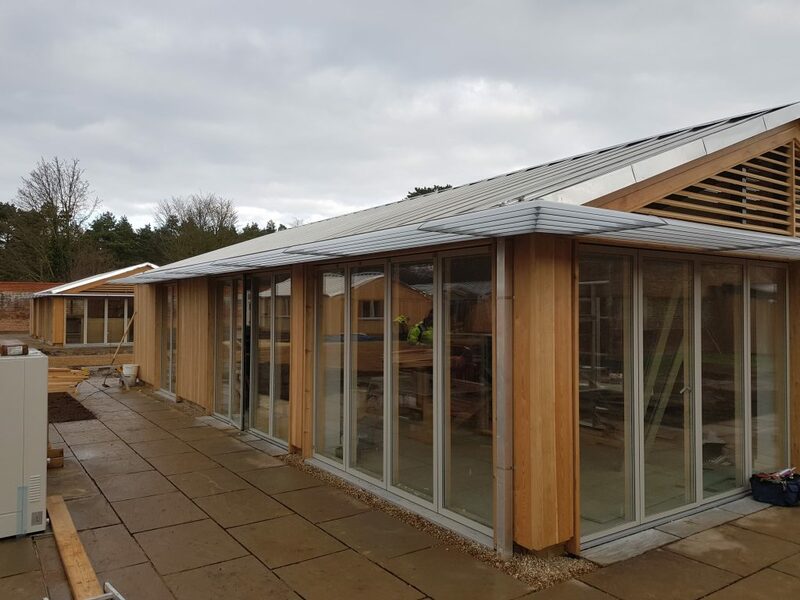 This particular system consisted of 3 elevations with our 120mm elliptical blades split into bays along the front of the building in between the drainpipes. 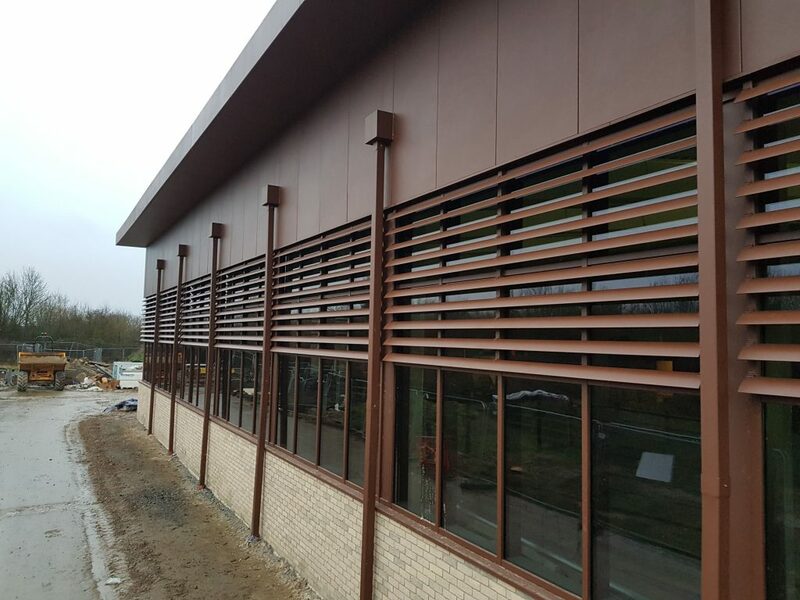 Two welded corner sections joined the main elevation to the side elevations to give a continuous appearance.